Here come the labs! 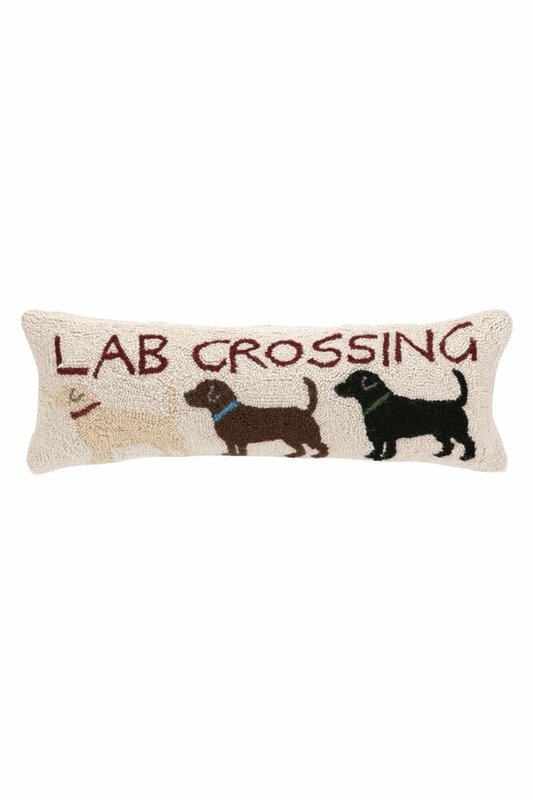 A golden, chocolate and black lab form an orderly line as they make their way across this fun pillow. Hand-hooked of soft wool/cotton yarns, it's a fun accent for a chair, guest room or sofa. Cotton velvet backing.